536 pages, 7" x 10", hardbound, June 2000.
an in-depth examination of advanced topics in helicopter aerodynamics, including airfoils, unsteady aerodynamics, dynamic stall, and rotor wakes. 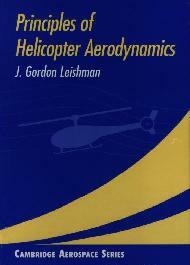 J. Gordon Leishman, Professor of Aerospace Engineering at the University of Maryland, is a former aerodynamicist at Westland Helicopters and has written extensively on topics in helicopter aerodynamics. Back to the College Park Press home page.